Hello there! I'd like to present you my quick mod made today! Evil seeds. 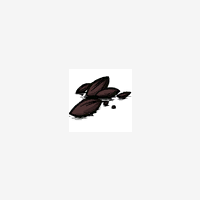 It contains new seeds that can be planted to make evil flower. But watch out! They have opposite stats to normal seeds. They can be cooked. I recommend using mod "More Plantables" to have ability to plant seeds too. To get them you need to kill bird. And it will MAYBE drop. It says it crashed at start and was automatically disabled, I don't have RoG. Any way to fix it?? I'll take a quick look on that. Maybe I did not catch incompatibility bug. Thanks. Humph... I did not see that. Can you post your log? Or PM to me with that? I'll try to search for that. will you be updating anytime soon? if so, i was wondering if you could add a math.random function that makes the birds have a 40-50% chance to drop evil seeds the was they spawn normal ones... Im currently using this but it seems that in activating this mode it PURELY ceases the spawning of normal seeds altogether. you can still get seed through special means (ei. tumbleweeds) and such but it is still much of an inconvenience.